Creating a disguise or pretending to be someone else is a joy that can be experienced by anyone at any age. The key to a great disguise, of course, is a mask–why else would a superhero rely on one? Who cares if it's not Halloween–a fun costume can be a joy to wear on any occasion. Maybe you want to make animal masks, or you want to celebrate Mardi Gras, or you have a flair for the theatrics and decide to put on a play in a day. 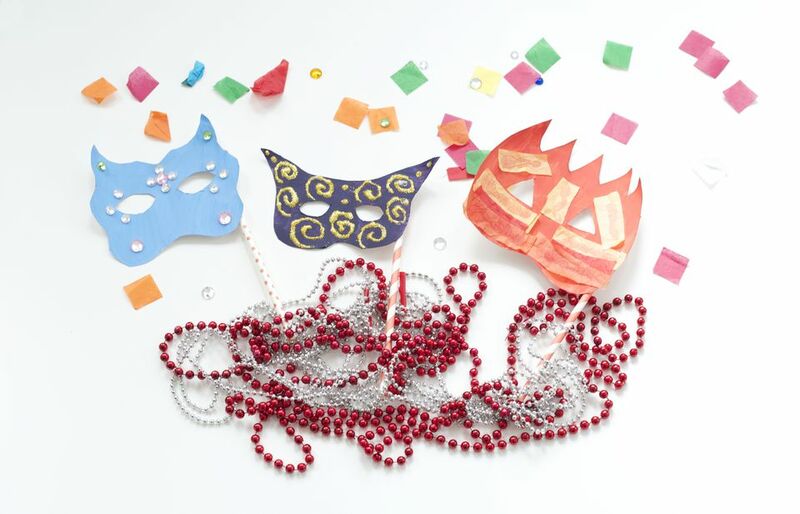 Whatever your ambition is, these paper plate masks are sure to be a hit with you and your kids. The best part: They are so easy to make, children as young as 5 to 6 years old can create them with little to no supervision (parents should supervise while scissors and a hot glue gun are being used). Use a pen or pencil to draw the outline of your mask onto a paper plate. Think about how wide you want it to be and how much of your face you want it to cover–make sure to draw an indentation for your nose. Get creative with the shape or stick to a classic one. Cut out the mask shape you drew with scissors. For the eye holes, fold your mask in half and mark on one side where your eye is. Cut out your eyehole while the plate is folded to get two symmetrical ovals. Use tempera paint, markers, or crayons to color your mask. Use one color as a base or multiple to paint intricate designs. 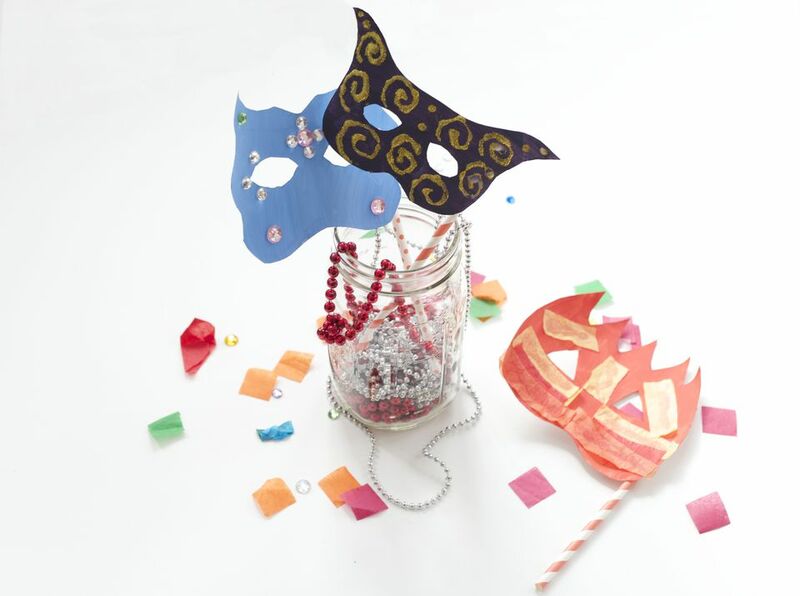 To make a handle for your mask, use hot glue to attach a straw or a craft stick to your paper plate mask. You could also cut a length of ribbon to fit around your head and attach that to the sides of your mask.